How is it possible that a single company can be America’s biggest cable television provider, its largest Internet Service Provider (ISP) and also own a major motion picture and television studio (NBC-Universal)? What happens when that company is allowed to get even bigger by gobbling up another huge ISP and cable provider? The answer to question number two is higher prices for consumers, less choice—and, most importantly for us—fewer opportunities for content creators to reach audiences on fair terms. We’ve previously described how proposed merger between Comcast and Time Warner Cable—currently being reviewed by the Department of Justice (DOJ) and the Federal Communications Commission (FCC)—is bad news for musicians and other creators. And we continue to make that case to US government regulators. We know what it looks like when just a handful of massive companies decide how, or even whether, lawful content reaches audiences. We also know how these companies can force artists to participate on questionable economic terms due to their ability to control access points. We’ve seen this happen with commercial AM/FM radio, and we continue to fight to make sure the same thing doesn’t happen on the Internet. 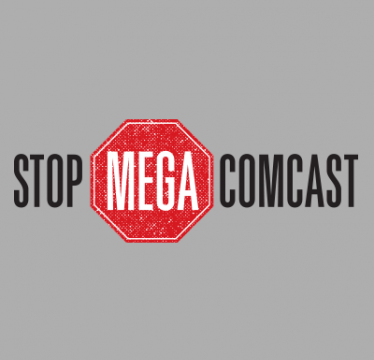 FMC’s opposition to the Comcast-TWC merger is in keeping with our long history of pushing back against vertical integration that results in reduced opportunities for artists and other innovators. That’s why earlier in the year, FMC joined the Writers Guild of America, West—the folks that write the TV shows and movies you know and love—in a petition to deny the Comcast-TWC merger. And on December 23, 2014, FMC and WGAW filed reply comments to the FCC reiterating the reasons this merger is bad for our creative communities. #Sorrynotsorry for the coal in your stocking, Comcast! We also strongly recommend that DSL Internet service not be counted as part of today’s broadband marketplace, due to speed and other limitations when compared to cable and fiber offerings. By any yardstick, the current broadband market is already highly concentrated; if you subtract DSL, it’s even more so. For this and many other reasons, a Comcast-TWC mega-merger is not in the public or creators’ interests. We’ll keep ringing the bell for as long as it takes for the FCC to do what it has to do and block this ill-advised merger.